In our daily work, we received so many digital documents but generally in two formats PDF or Word. Most of the official documents and bills we received are in PDF format but so many times we need to work in a Word file due to its editing capabilities. If you are near to your desktop or laptop you can easily convert PDFs online but what if you don’t have desktop access. 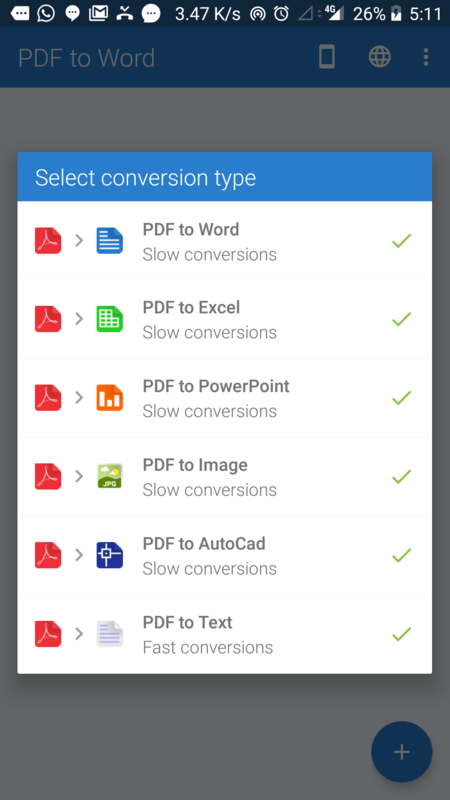 The only thing you have is the smartphone in your pocket and now you can also use that to convert you PDFs instantly using different PDF to Word converter apps. 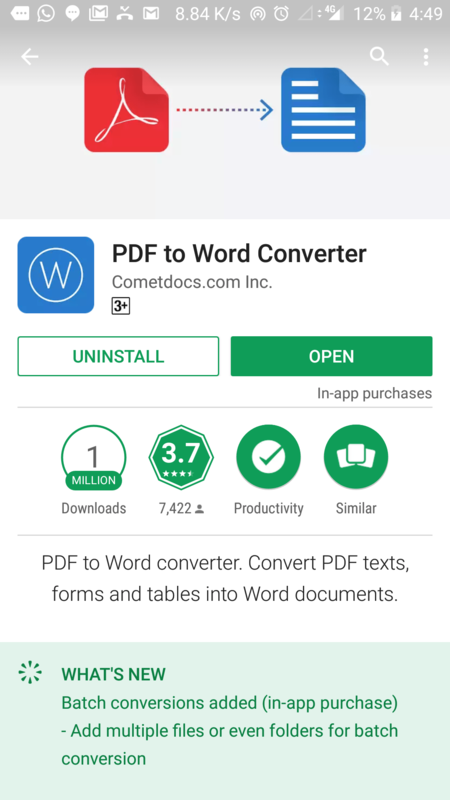 We got a request to review such an app called PDF to Word Converter app developed by Cometdocs.com Inc. Let’s see, is this the best app to solve all of your PDFs conversion problem on the go. The app is available for both Android and iOS platforms. 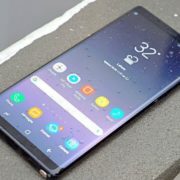 Note: The free version of this app takes around 1 hour to convert a file, but the paid fast conversions are completed in seconds. Step 1: Download the PDF to Word converter app for Android or iOS, depends on the type of smartphone you have. Step 2: Here we are installing the Android version. Step 3: After successful installation just opens the app. Step 4: First of all purchase the Fast conversion, if you don’t want to wait for an hour. Second, and if you want to use this app for business purpose then you might need multiple format support. To unlock that you also need to buy the Business extension package. Step 5: The interface of the app is quite clean and easy to understand. A plus icon has given at the bottom to add files from the device local memory or import it from Dropbox, Google Drive, OneDrive, and others. Also, there is no limitation of file size to upload and convert. 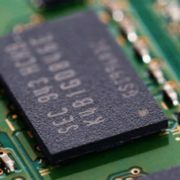 Step 6: In the next step just select the format in which your file can be convert and boom, it has done the conversion in few seconds depending upon the file size. Step 7: The Business extension of this PDF to Word Converter App supports following types of conversions. 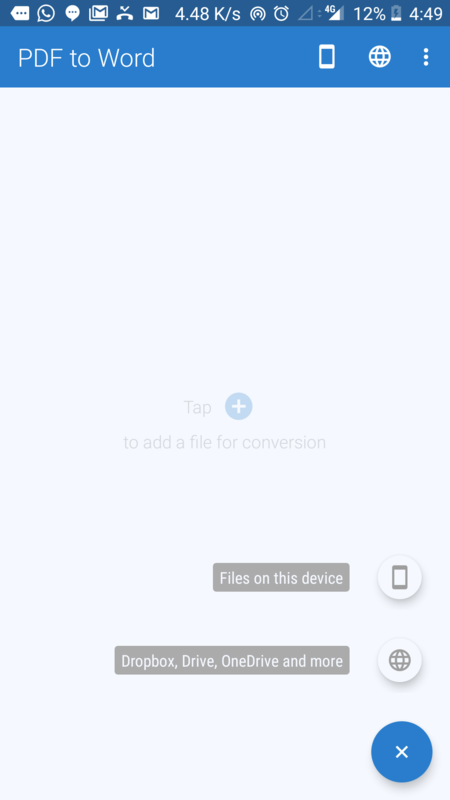 So this nifty PDF to Word Converter App can do beyond and perform almost all type of conversion on your smartphone. The app is very straight forward, all the options are on the fingertips and easy to use. You can easily reuse and edit your PDF documents. The free version of this app is not going to work because nobody wants to wait for 1 hour to convert the documents. 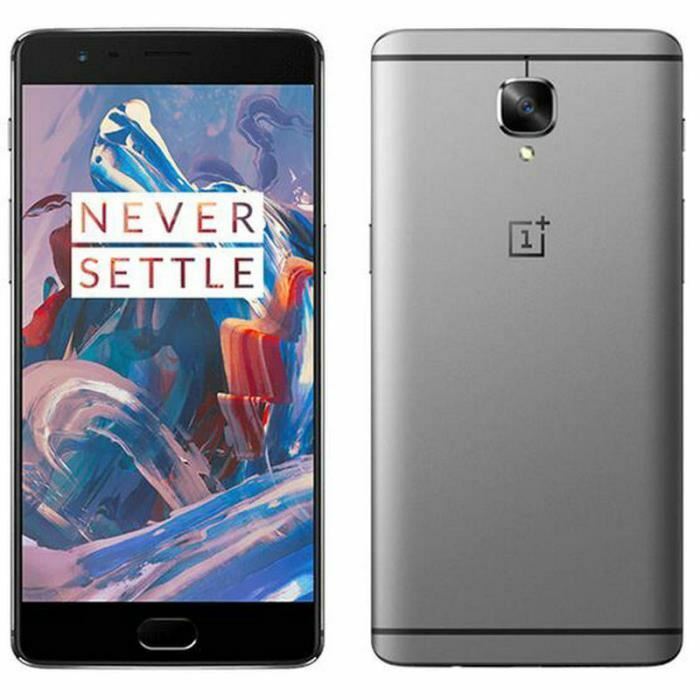 But once you purchased the fast conversion feature of this app, all the conversion are done on the fly in seconds. 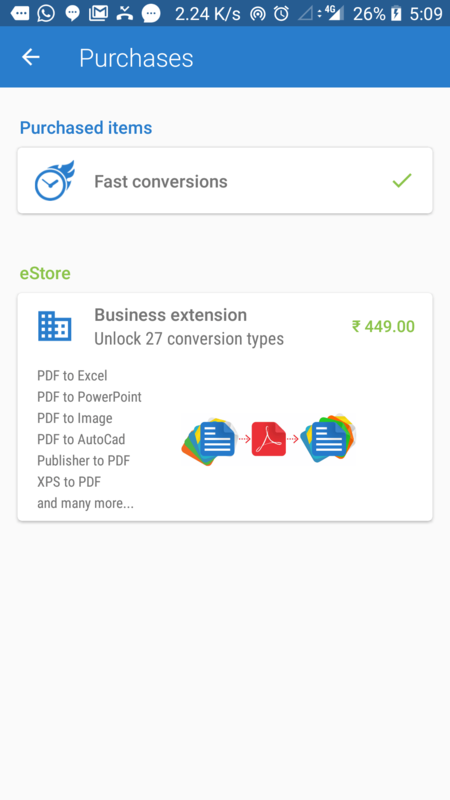 Also, if you are using this app for business purpose and want multiple extension or file conversion support then you need to buy their business extension feature. If you talk about the performance of this app then there is no issue because all the conversions are not going to perform on your device. After importing any file to convert the app automatically send that to the app server and once it done, the converted file downloaded. 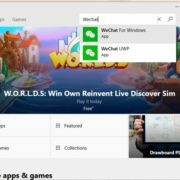 In this way, the app will not burden your device resource or battery, and also it not be going to slow the performance of the device. 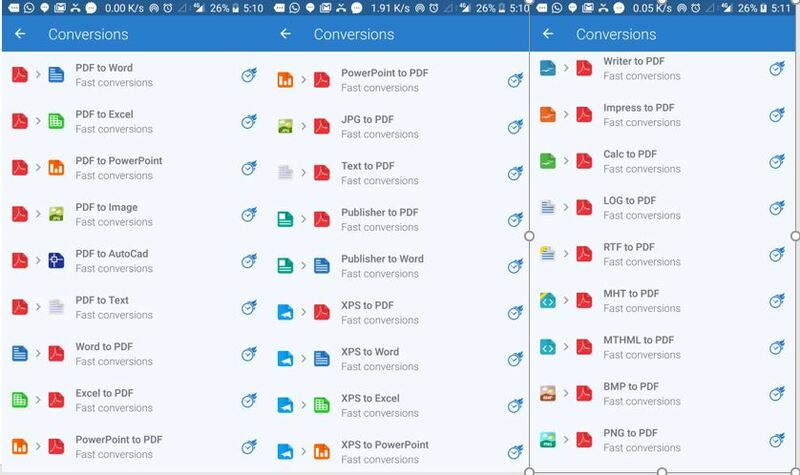 So, if you are looking for a free PDF to Word converter app then this might not be the one but if you need a professional app that can support all types of document conversion then this is for you. Free version takes an hour to convert a single file.